ESET was awarded 100% protection for detection and prevention of internet threats by ESET Smart Security 7 by Dennis Technology Labs in its independent test. This result was the highest protection score awarded to all products within the test, outranking Norton, Kaspersky, Avast, Trend, McAfee, BitDefender, AVG and Microsoft. 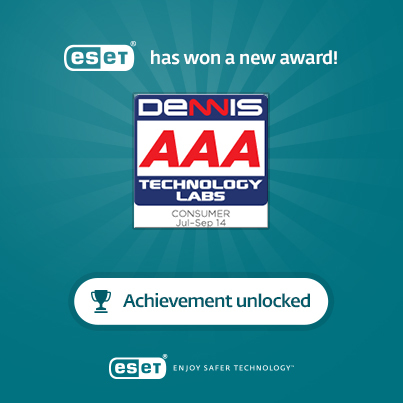 Learn more about the Dennis Technology Lab Test and ESET’s latest security product for Home Users – ESET Smart Security.